Resisting the urge to feature 850 Lord Nelson again this week, today’s model of the week is (as you can see from the picture below) a lot smaller! It is of course, one of Locoyard’s fleet of A1X Terrier tank engine’s; W11 Newport. Believe it or not, William Stroudley’s A1 terrier class were designed to haul London suburban services. The London, Brighton and South Coast Railway’s (LBSCR) track was lightly laid in the London area and needed a light but powerful locomotive to haul passenger services. 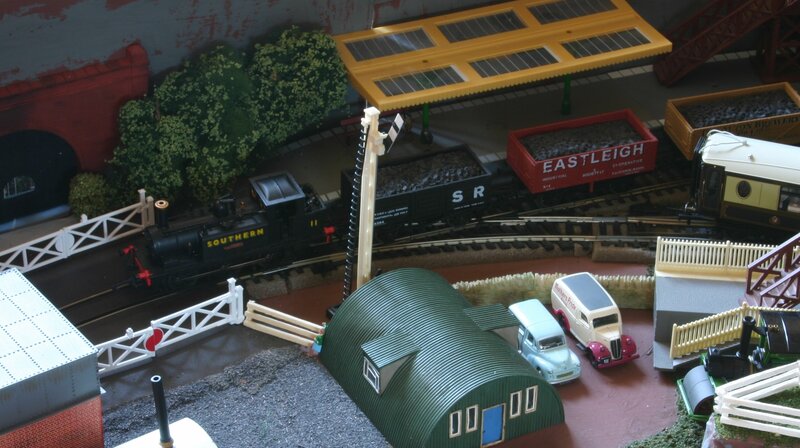 In time, the lines were relaid, allowing for heavier traffic and the terriers became displaced to a variety of locations. The type were nevertheless very successful and were given the nickname “Terrier”, which came from both there fast rate of acceleration but also from their terrier-sounding chuff. The Terrier class were modified in time from A1 to A1X configuration. This Terrier was built in 1878 – one of the second-to-final batch of the class (the earliest members were built in 1872). This terrier was originally named “Brighton” and numbered 40. It had started it’s life quite dramatically; being sent to Paris for display at the “Exposition Universelle” – a massive 54 acre exhibition that 13 million people visited. It was awarded a Gold Award in Paris and returned to the UK with “Gold Medal, Paris Exhibition 1878” inscribed on its tank sides. 40 Brighton then resumed a normal working career and was based at Battersea engine shed, working passenger services in the London area. The Isle of Wight Central Railway (IWCR) purchased number 40 Brighton in 1902 and renumbered it 11. 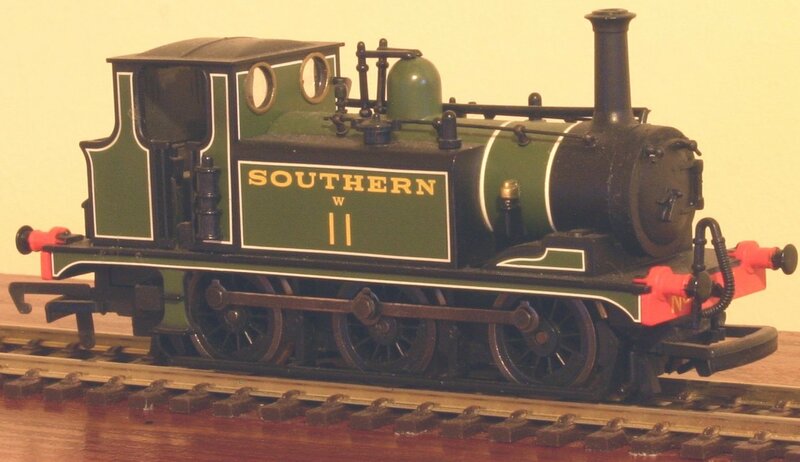 In 1918, 11 was upgraded to an A1X class and in 1923 (when IWCR was absorbed into the Southern Railway) it became W11. In 1930, W11 was named “Newport”. Whilst on the Isle of Wight; the locomotive was fitted with an extended bunker to increase its range between re-fueling. In 1947, W11 Newport returned to the mainland for overhaul and soon became British Railways 32640 after nationalisation in 1948. It stayed on the mainland for the remainder of it’s working career, mainly being used on light branch lines such as the Kent and East Sussex Railway and the Hayling Island branch. It’s working career ended in 1963 when it was withdrawn from traffic and purchased by Sir Billy Butlin for display at Pwllheli holiday camp in North Wales. The Isle of Wight locomotive society negotiated a ten-year lease of the locomotive and in 1973 it returned to the Isle of Wight. 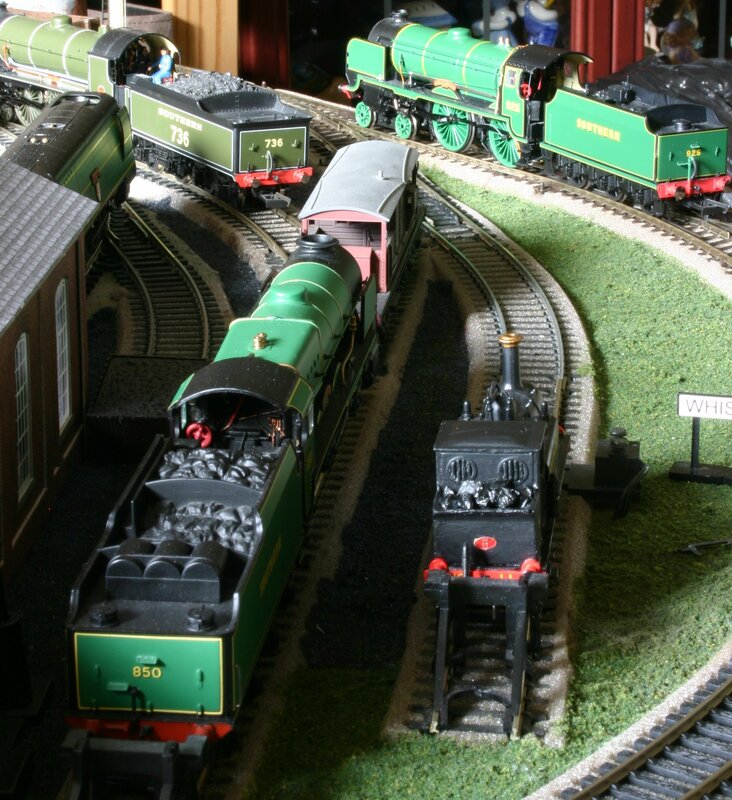 In 1976 the locomotive was purchased by the Isle of Wight locomotive society and a lengthy restoration started. It took until 1989 for W11 to return to steam on the Isle of Wight. Since then, the locomotive was withdrawn for it’s overhaul and has required a brand-new boiler to be constructed. W11 should return to steam in 2013; 135 years after it was built. 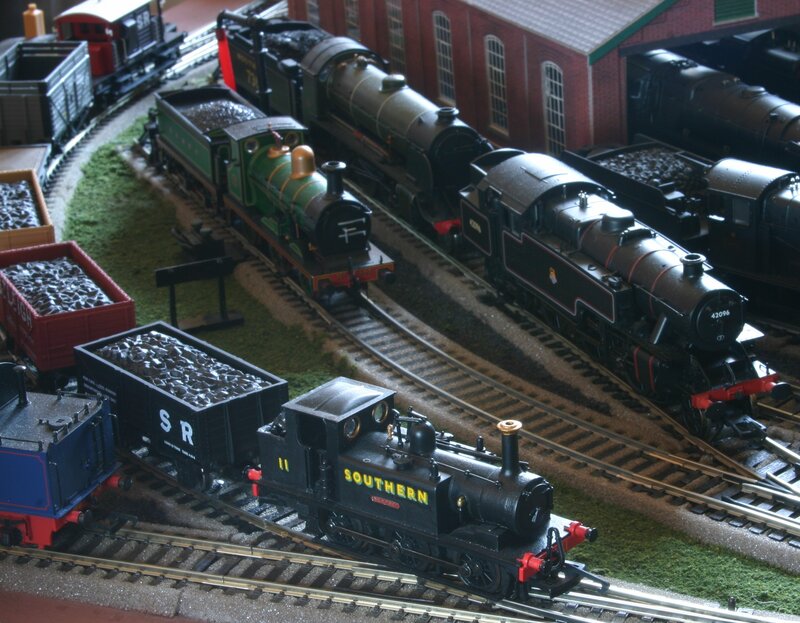 Locoyard’s model of W11 Newport is a regular performer and although the Hornby model is out-dated (click here for its’ review) it has plenty of character. 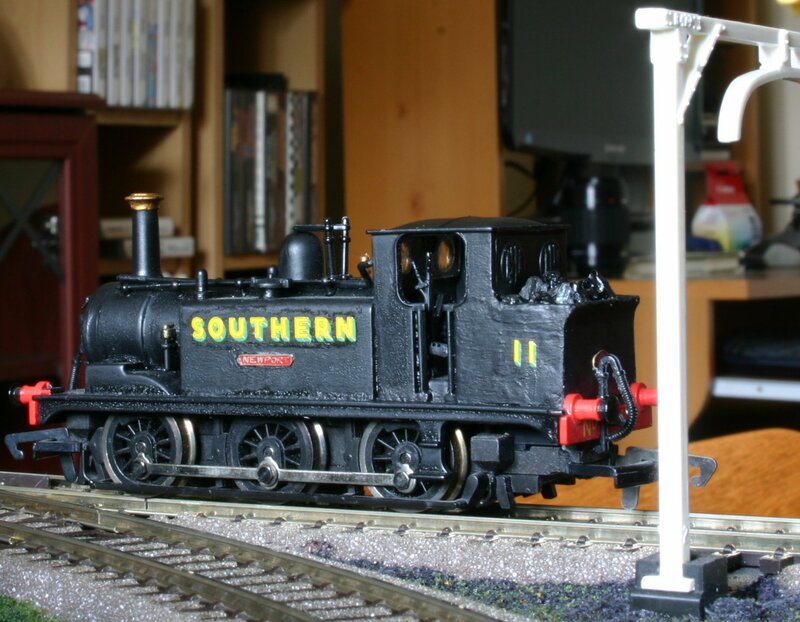 Much work has gone into fitting the Isle of Wight extended bunker (click here for more) with real coal and it has been finished with an unlined Southern black finish. ← Final votes for picking the most popular colour for Tornado! Hello, I’m currently doing the same extended bunker comversion and painting mine in Sr wartime/unlined black. Did you hand paint yours or spray paint it? Also what paint did you use? I spray painted mine using Humbrol aerosol satin black. The finish was ok, but there are others there are worth considering, such as Railmatch. If you spray, it pays to take your time between coats of paint and be sure to wear goggles and a mask. Thanks for the help, I’ve now finished my terrier conversion. I’ve numbered and named mine as No. 8 Freshwater which is the other terrier at the isle of wight steam railway.